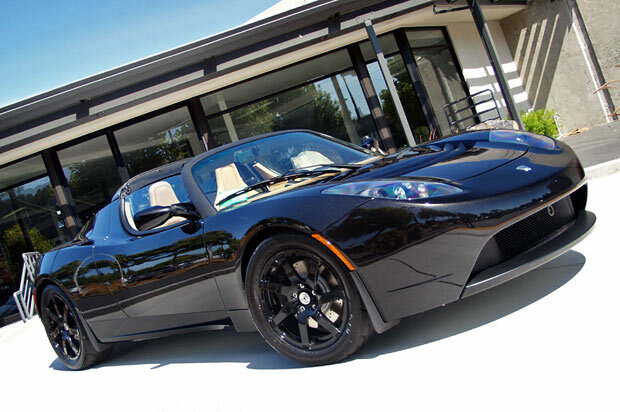 To get from zero to 60 mph in the original Tesla Roadster takes an official 3.9 seconds. The brand new 2010 Roadster Sport beats that with a wonderful 3.7 seconds. Those two-tenths of a second don't look like much on paper, but they make a difference on the road. Perhaps just knowing about the enhanced acceleration makes the Roadster Sport feel faster in the absence of expensive testing equipment, because having driven both, it does feel that way. A lot. Whatever the reason, when we recently got to take an Obsidian Black model out for a few hours, we couldn't help but notice how incredibly punchy the Sport is, whether bursting away from a stoplight or accelerating to pass on the highway. Sometimes we even slowed down a bit on the highway just to feel the seamless thrust of getting back up to speed. 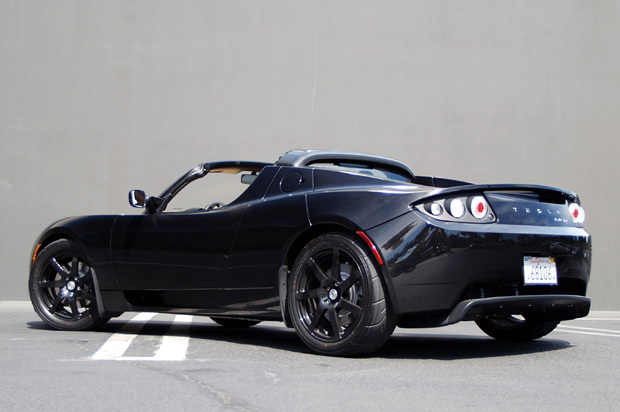 With the 2010 Roadster Sport, the EV grin is still in full effect. Find out what other kinds of fun can be had in a $125,500 Roadster Sport after the jump. 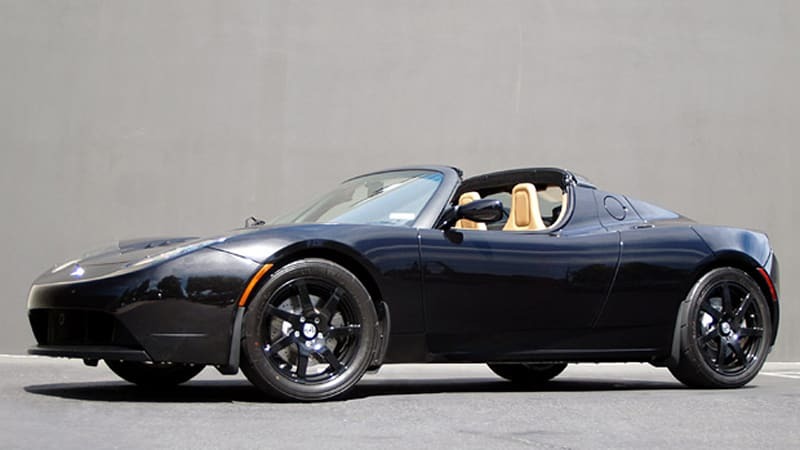 As stated, the Roadster Sport starts at $125,500 – $19,500 more than the standard Roadster. For the extra dosh, you not only get the improved 0-60 mph time, but also the ability to set the suspension to one of ten different settings and black-finish forged wheels (16 inches in diameter up front, 17 in the rear) wrapped in Yokohama ADVAN A048 tires, the same shoes that come standard on the Lotus Elise Sport (the standard Roadster has to make due with less aggressive AD07s). 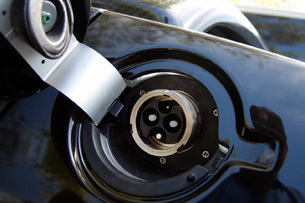 As electric car fans know, peak torque from any electric motor is available from exactly 0 rpm, and this is blindingly apparent in the Roadster Sport. Its electric motor produces 280 lb-ft of torque and has also received a healthy horsepower bump to 288 over the standard model's 248. Another change is a smaller PEM (Power Electronics Module). Here you can see how the new PEM only comes to within about a foot of the sides of the car. The last-generation PEM extended almost to the edge while still allowing the trunk to close. All that power is also somewhat dangerous in the wrong hands, because it's ridiculously easy to attain license-revoking speeds without either cognizance or intent. Were we to have been pulled over, we would've immediately blamed the eerie lack of an engine's soundtrack, "But officer, there's no way we were doing 120 – we would have heard it!" Luckily, our drive was incident-free, but given a full week with the Roadster Sport, we'd probably be writing this with one of those little four-inch golf pencils they issue for good behavior in the state penn (go ahead – ask us how we know). The surefooted Sport model faithfully keeps to the road like a mountain goat. When we weren't gleefully zipping down the straightaways, we tested the Roadster Sport's new adjustable suspension on the winding, hill-strewn roads west of Saratoga, CA. On these curves, the surefooted Sport model faithfully kept to the road like a mountain goat. Overall, if there's a theme to the 2010 Sport model compared to earlier iterations, it's that everything good has been improved while everything annoying has been kept the same. The Roadster's single-speed transmission remains an impressive piece of work, offering us smooth power delivery all the way up to 85 mph, our self-enforced top speed on these public roads. 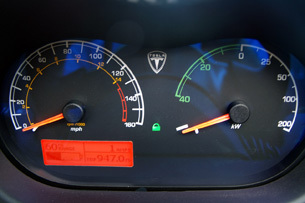 The new transmission is also why the speedometer and tachometer are now contained in one display dial. If the motor is spinning at X rpm, the car is going X mph. The change from a double-speed transmission to a single-speed early in the Roadster's life means two things. First, it's easy to see that redlining happens at 14,000 rpm, which is 125 mph. Second, there is now room for a big needle on the right of the dashboard to show how many kWs the batteries are either giving up or taking in. When the car slows down, you enter the happy green (regen) zone, netting you a few more precious kW from regenerative braking before the next charge. Since those regenerative brakes are very quick to get into their energy-recovery mode – they perceptibly take over as soon as your foot comes off the accelerator – it's basically possible to drive the Roadster using just the one pedal. Theoretically, the only time you'd need to step on the brakes is when something pops up in the road without warning, although obviously we don't recommend that strategy. On the flip side, "idling" around at very slow speeds requires constant brake application because the Roadster is designed to creep along at three mph when no pedals are depressed and the gear selector is in Drive. 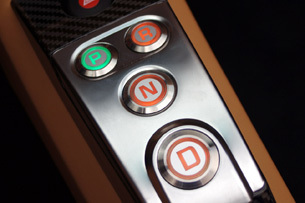 Speaking of Drive, one of the most noticeable changes for 2010 is the inclusion of a new push-button gear selector. This is just one of many alterations made to the Roadster for 2010, but one of the few that are easily noticed since the car looks just like last year's model on the outside. The 2010's cabin was redone by Tesla's new designer Franz von Holzhausen, the charismatic Hollywood hotshot also responsible for the Model S and previously behind the pen at Mazda. Interior-wise, the other major change was the decision to move the information display screen to the center of the console so that the passenger can see what's happening with the battery pack's state of charge and other details. The Lotus DNA in the Roadster Sport also becomes apparent as soon as you crawl into its confined space. Anyone 5'9" or under will feel right at home in the cockpit. That is, unless you want to get in or out, which requires at least a bronze medal in gymnastics to do gracefully. Anyone 6'2" or taller will immediately wish for more legroom and notice that the sightlines through the windshield top could be improved. 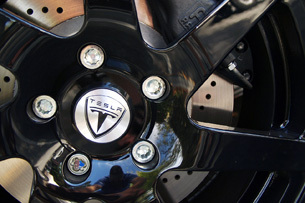 Since the exterior design remains the same, the 2010 Roadster Sport also retains the prior model's terrible rear visibility. The speedometer is likewise well-hidden behind the small steering wheel, which is a problem if you're interested in driving without going too much over the speed limit. A more visual cue – HUD? – that you're doing 80 would be a welcome addition for 2011. Unfortunately, given our brief stint with the car, we were not able to test out the accuracy of the quoted 244-mile range for the Roadster Sport, but we're confident in the number based on what we've heard from other Roadster owners. What we can say is that after driving the car hard for two hours through the hills and highways near Palo Alto, we still had 60 miles left in the battery – and we're not even sure we left Tesla's Menlo Park store with a full charge. We can easily deal with any of the Roadster Sport's minor faults because this car is so blessed fun to drive. This isn't some concept vehicle made out of unobtanium. It's available today (well, there's a three month backlog in Roadster orders), and it certainly won our hearts again just as it did the first time we drove it. More importantly, the improvements of the 2010 Roadster over the 2009 model have whetted our appetite for the Model S something fierce. Consider von Holzhausen's work on the upgraded Sport interior and his heavy hand in the Model S, the sedans' 0-60 time of 5.6 seconds (incredible for a 7-person sedan) with a single-speed gearbox and a price that's about half of the Roadster's. 2011 can't come fast enough.